Setups and Payoffs: What are they? Let’s dig deeper into what this all means, and how we can do it ourselves. 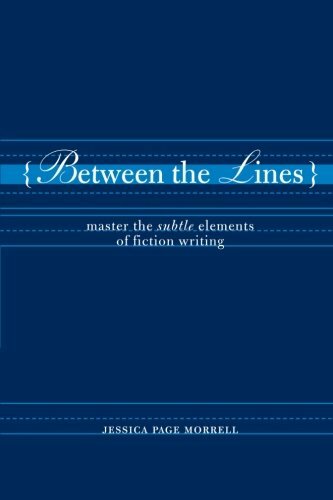 Hitting all points on the awareness continuum is fine, great even; as Dwight Swain says, “You can be as crude or subtle as your story and your editor permit.” But I don’t think it matters so much what we call each point on the continuum… it just matters that we hit each point (or not, whatever’s best for your story). “Foreshadowing is hinting at the action or obstacles to come,” says Les Edgerton. “Foreshadowing suggests, whispers, or plants information, and deepens the reader’s sense of anticipation by laying down traces of what will happen later in the story,” says Jessica Page Morrell. “Foreshadowing lays the groundwork; it provides an early sign,” says William Noble. “Planting means preparing the ground for something that comes later, usually to make the later action credible,” says Sol Stein. “Foreshadowing legitimizes future events by planting early clues,” says Chris Roerden. “To plant something means to stick that something into your story early in the game because you know you’re going to need it later,” says Mr. Swain. WHEN SHOULD YOU USE SETUPS? 1. To create credibility for future story events. basically bolster any event in your plot that, without setup, readers would roll their eyes at. 2. To bolster the credibility of your characters. “There’s absolutely nothing your protagonist can’t do–be it fly, walk through walls, or recite the dictionary backward–provided you’ve foreshadowed this unusual talent long before it becomes the only way out of a sticky situation,” says Lisa Cron. “The same is true when you want your characters to deviate from the norm,” says Ms. Cron, be that society’s norm, a particular group’s norm, or the character’s personal norm. Your characters can deviate from those norms, but you should probably show why they choose to do so. It’s also good to provide some set up for the Hero’s transformation (more next week). 3. To increase tension and suspense. Doing jokes justice is beyond the scope of this post, but still… Jokes. Something fun to think about. 5. To build unity into a story. To do this, plant things that have thematic and symbolic relevance. WHAT DO YOU USE AS SETUPS? 1. To set up means to show. 2. Setups need to make sense in the moment they are shown. “’Hints’ and ‘tells’ need to stand out (and make sense) in their own right before the reveal,” says Ms. Cron. 3. Setups should be doled out at a steady pace. 4. And setups need to make sense in hindsight. In other words, for the payoff to land with the reader, “there must have been a pattern of specific ‘hints’ or ‘tells’ along the way, alerting us that all was not as it seems, which the new twist now illuminates and explains,” says Ms. Cron. Other terms for “payoff” include reveals, discoveries, revelations, surprises, epiphanies, twists, reversals…. Here, I think there are some distinctions among the terms worth making because they allow us to consciously vary how payoffs are revealed to the reader and keep things interesting. Can you mix and match techniques? Sure, go for it. 1. Payoff: The umbrella term for anything that has been set up and is now fully realized. 2. Discovery: A payoff that occurs when Hero finds new physical information through his own action. “A discovery is an active process, meaning that it’s the hero who finds the information,” says Mr. Iglesias. And, for a Discovery, that information is something the character can see, touch, hear, smell or taste. 3. Epiphany: A payoff that occurs when Hero realizes a new informative insight through his own introspection. The setup, which can vary in length, shows readers who the protagonist is before the epiphany. The trigger is the catalyst that applies pressure to the protagonist’s old way of thinking and causes it to crumble. Triggers should be visual and easily imagined. The realization, then, is when the protagonist consciously recognizes something she had not previously understood and, as a result, undergoes profound change. 4. Revelation: A payoff that occurs when Hero receives new information, tangible or verbal, from another character. “A revelation is revealed to the hero–a passive process where the hero learns the information from another source. The hero is given that information,” says Mr. Iglesias. Revelations should be used early in the story, limited to the first seventy-five percent, if not earlier, because they’re not nearly as satisfying as the hero earning the payoff himself. 5. Punchline: A Payoff that’s funny. “Remember, that, to be funny, the final line of the story or joke must be a surprise,” says Mel Helitzer. “But the ne plus ultra of writing is not just ending with a laugh but topping one joke with another,” says Mr. Schreiber. And each laugh is another payoff. Yup: No Justice. Maybe we’ll look at jokes more someday. 6. Twist: Writer leads Reader to expect one thing and–PAYOFF!–it’s something different. Now, if you want to, you can pare off the Reversal, which is a specific kind of twist in which the writer leads the character and/or reader to believe one thing and–PAYOFF!–it’s actually the exact opposite. And, of course, these aren’t the only kinds of payoffs; there are many more. For example, there’s the kind of payoff where you set up a unique character ability and–PAYOFF!–the plot demands he use it. This list is just a brainstorming starting point. I do believe there are some things you can do that will help your own inner writer generate possible twists for the ending. First, you probably already have an ending in mind. … And that’s okay. Keep writing. But as you get closer to the end of your first draft, pause and come up with ten alternative endings. Yes, I said ten. And I don’t mean take four weeks to do this. I should take less than thirty minutes. Brainstorm. The quicker the better. Let yourself go, and don’t worry about justifying every one of them. Once you’ve got your list, let your imagination cook the possibilities for a day or two. Come back to your list and take the top four. Deepen them a little bit. Let them cook some more. Finally, choose the one alternative ending that seems to work best as a twist–not an alternative ending at all, but an added surprise. Figure out how to work that into your ending, and then go back into your novel and justify it somehow by planting little clues here and there. There is your twist ending. “Subtleties and misdirection [come], not from obfuscation or vagueness, but from knowledge of the way we tend to think,” says Mr. Noble. when the optimal moment in the story arises–BOOM!–we reveal Z using one of our payoff methods (also above). And last, remember that Setups and Payoffs can and should happen at the story level, the act/part/sequence level, and the scene level. Well, that’s it for me! What about you? What insights do you have into Setups and Payoffs? Tell us in the Comments! We’ll look at how the masters use Setups and Payoffs. See you then! If you found this post helpful, please feel free to share it, and if you’re new here, please join the mailing list to receive updates about new tool posts. Thank you! The book you have included, Emotional Impact, is one I’ve had on my Kindle forever and had totally forgotten about it. I’ve now opened it and discovered a treasure trove, as you’ve said. Thank you! I also have Swains fab book, and his student’s book Jack Bickham.Between those last two, I show don’t tell and writing for the reader totally clicked for me. I love remembering I already have the book I need. Thanks for saying Hi!